I had a remarkable multi-day immersion to: (1) see the exhibition Weatherbeaten: Winslow Homer and Maine at the Portland Museum of Art (2) photograph the dramatic setting that inspired this great American artist . 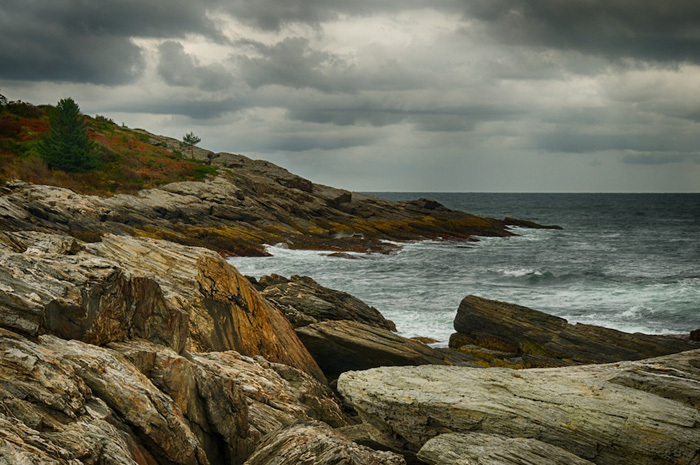 An impression: green ocean, parting gray skies signaling the passing of yet another storm amid a splash of seasonal color and weatherbeaten stone a century later. An insight: reflecting on Weatherbeaten then and now – the upshot of that ancient conversation of sea and stone – age with grace.